Heading into game 6, it’s still impossible to define this Indiana Pacers team and why they’ve been so inconsistent in these playoffs. The Miami Heat look to LeBron James, hoping that his foul trouble won’t be a part of this one, and that he’ll help the defending NBA champions clinch the conference finals, which they always do when they have an opportunity like that at home. Two interesting statistics about tonight’s game: The Miami Heat are 9-0 in potential series-clinching games since the Big Three era began, with LeBron James averaging 28.4 points, 9.3 rebounds and 6.1 assists when it’s time to finish things off in front of the home fans. But there is also this stat: LeBron’s teams over the years are 0-4 in games following James scoring 15 points or less in the previous game, with James scoring only 20.5 points in those contests. It rarely happens, and he is a different player this time. All eyes, obviously, will be on LeBron James. How careful he’ll be on defense, with the five fouls from the previous game in or not in his head. The officials will be closely watched, maybe trying to give back to the Heat what they took away from them in the previous game. Lance Stephenson, on the thin line between brilliant villain to idiotic troll, will get his share of attention, hoping to play a lot better in Miami than on his previous visit. The Heat don’t need to change too much in their basketball and their scheme. The offense got stuck at times, especially in stretches during the third and fourth quarters, but they’re playing the right way. Rashard Lewis is doing well, now on both ends of the floor. Dwyane Wade is being aggressive and maybe even needs more touches. As long as the ball moves and the Heat don’t get stuck in half court possessions with the ball glued in one place while four players don’t even move from their spot, the Pacers’ defense isn’t that hard to figure out, especially with Roy Hibbert exposed time and time again as being a big body and tall, but not that physically strong. 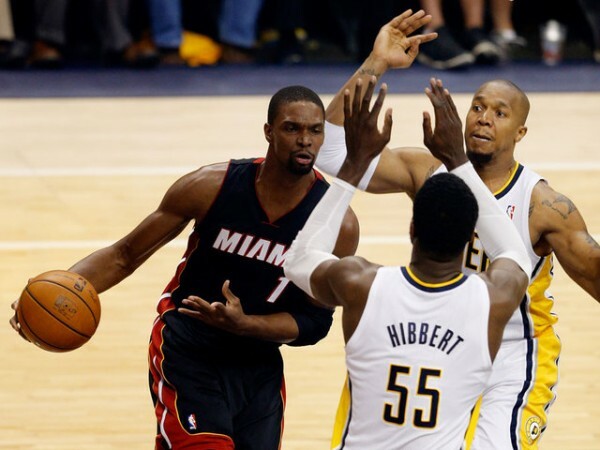 The Pacers didn’t play brilliant basketball that opened up the Heat’s defense. Paul George simply took over like superstars sometimes get to do. Roy Hibbert didn’t dominate in the paint. David West had a solid game, but nothing exceptional. Lance Stephenson had more plays that had to do with annoying people on the floor than actual basketball, although that’s important to have. George Hill continues to look like someone who hasn’t decided if he believes himself or not. The Pacers shouldn’t have won that game but the special circumstances that were created allowed that to happen. So what do they need to do in order to come away with the win in Miami and bring back the decision to their home court? 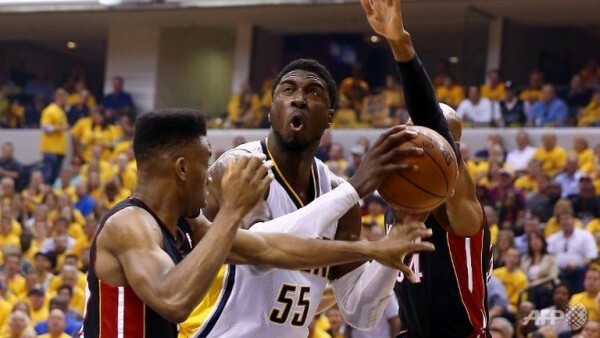 Going to Roy Hibbert early isn’t a bad idea, but the Pacers always seem to overdo things. There’s nothing wrong with going to Hibbert, but it shouldn’t come at the expense of moving the ball on the perimeter and some inside-outside basketball, which we’ve hardly seen since game 1. Trying to get Hibbert and George Hill going early is probably the right kind of mix they need to be looking for. The Miami Heat need to avoid bad starts like in game 1-2-3. True, they came back from it in the end, but why risk it, knowing that the Pacers can get confident so quickly but also bury themselves in self pity and self destruction just as fast? Composure and keeping the ball moving, while LeBron James actually plays a healthy amount of minutes as they hope to get Chris Andersen (and maybe even use Greg Oden) back should help them do the trick.